Star Catcher was the first Pegasus pony to join My Little Pony's third generation in 2004. She came with an exclusive video called Dancing in the Clouds. Something very special happened in the storyline, which implied that Pegasus ponies lived on the secret, magical Butterfly Island. An international version of the 2004 Star Catcher also exists, which is packaged more like a single (the box is not as wide). It has been noted that the wings on this Star Catcher are slightly smaller, presumably to fit better in the box. In 2007, it is rumored that Star Catcher will be reissued with molded wings. 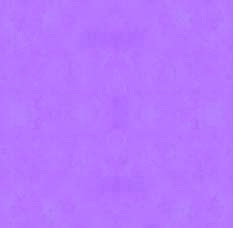 Copyright ©2003–2007 Ponytopia. All Rights Reserved. 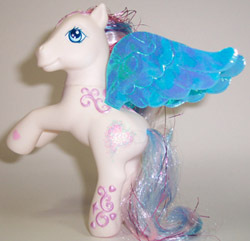 This site gathers information on collectible pony items for the benefit of My Little Pony collectors. Due to their size, some images may not show up if you are using an ad-blocker like NIS.